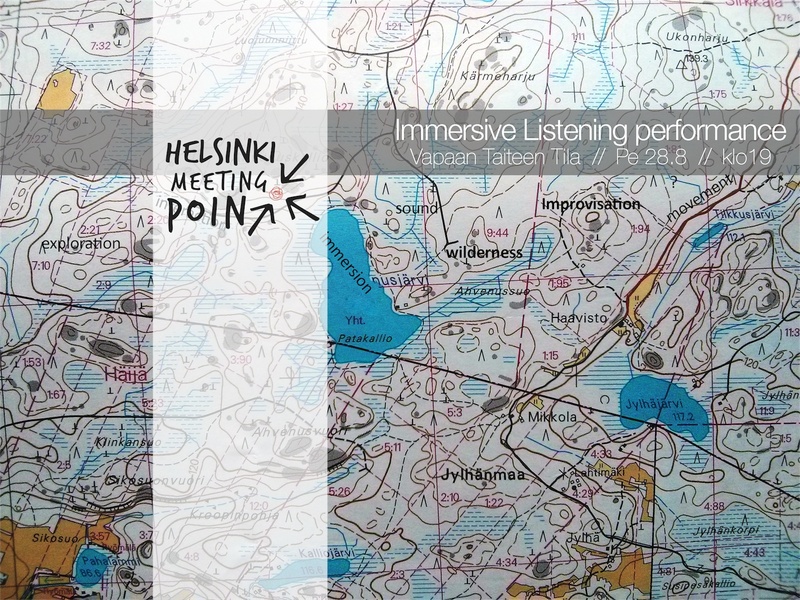 The Helsinki Meeting Point presents this time works by artists engaged in the practice of improvisation. With this non-standard HMP event, we are happy to open a new window into this art form. Following the performances the audience is warmly invited to stay for a feedback session, specially structured to help supporting the work of the artists. LIHAA TILASSA is an improvisation group established 2014 in Helsinki. 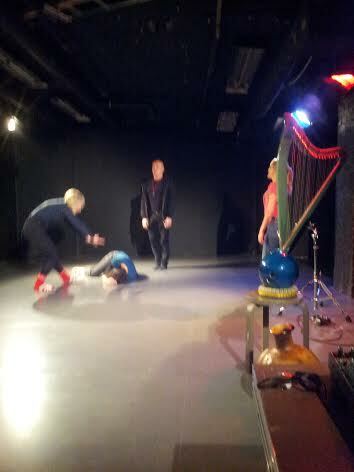 The group consists of dance artists Aino Ojanen, Noora Aaltonen and Nadja Pärssinen and sound artist Joonatan Elokuu. Light artist Juho Ryhänen will also take part in the performance at Ylioppilasteatteri. Heini Nukari: For me improvisation is a very accurate and concentrated working tool which allows me to continually regenerate and develop movement and vocal material. I like to be pushed out of my comfort zone towards unknown waters where I might not be sure about my identity anymore. I am interested in exploring the multiple human layers which we all have inside us. Pia Lindy: How to jump into the unknown without losing myself totally or if that happens, what then? How to stay open to different kinds of dialogues and ways of articulating the unknown? How is the society embodied and visible in me? 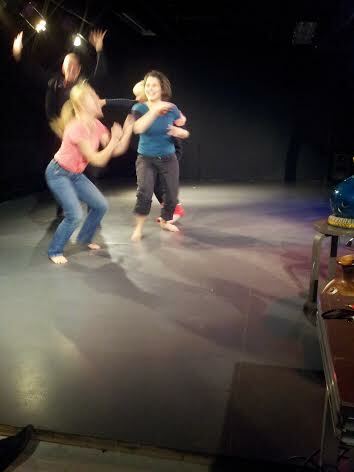 Categories: Performances | Tags: dance, improvisation, instant composition | Permalink. HMP workshop by Sten Rudstrom: Ta(l)king Your Head Off!! In this workshop, you will explore an embodied way of speaking, using language that originates from and resonates in the body. You will experience your speech from a kinesthetic position. You learn how to sense your language as you speak it and allow that sensing to influence the manufacture of each new word from a dual-hemisphere perspective. Our goal is that language be a transformational experience rather than a self-limiting, rational, judgmental arena. 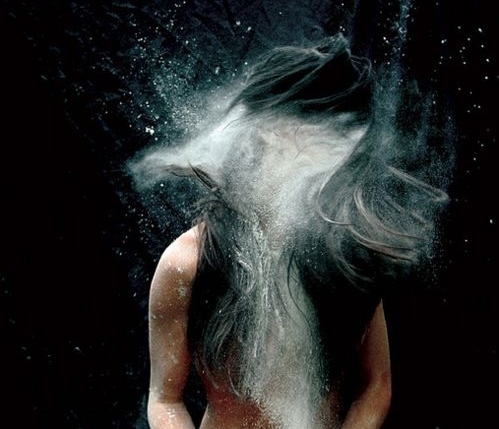 Ta(l)king Your Head Off is intended for dancers who want to feel their text in the flesh, actors who want to feel the flesh of their text, those who find joy in the use of language, as well as, those who hope to find that joy. Sten Rudstrom has been working in the field of improvisation for the last 25 years. He teaches and performs internationally, founded the improvisation group EAT (Sabine von der Tann, Andres Noormets, Kate Hilder, and Peter Krempelsetzer) and is, also, a member of Streugut (Ingo Reluecke, Zufit Simon, Martin Clausen, and Alexander Frangenheim). In 1986, he met Ruth Zaporah, is one of the few Certified Senior Teachers and has continued to work with Action Theater™ since that time. 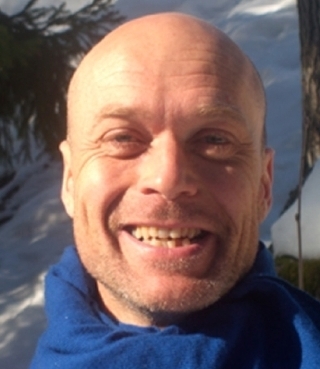 With Satu Palokangas, he has developed The Core of Expression, a somatics and improvisation embodiment training that is currently being booking internationally. His workshops are inspiring, exciting and challenging. He has a 3 year old son and is re-learning how to improvise and let go of outcomes.